Letâ€™s talk about terminal ballistics and the intentional targeting of the pelvis. This is a topic that has been around for a long time, though has recently experienced a resurgence in interest from the self-defense community as a preferable point of aim for self-defense, sometimes over more medically vulnerable parts of the body.Â Using just the conversations Iâ€™ve heard or read as a median, there are some very dangerous misconceptions about targeting the pelvis. The targeting of the lateral pelvis or the pelvic girdle of the human body is being celebrated by some as the holy grail of places to shoot bad guys.Â While I do agree that the pelvis is a viable target, it must be understood that with other areas of the body available, it should not in most cases be the primary chosen point of aim.Â The reasons for this are simple; there are no organs or structures inside the area commonly known as the pelvic region that are responsible for Central Nervous System function. 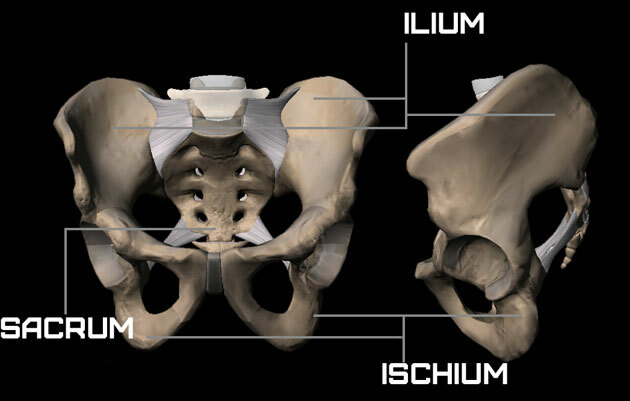 The pelvis is comprised of the sacrum, ilium, pubis and ischium bones, with the ilium, pubis and ischium bones making up the hip bone.Â The sacroiliac joints, which act as shock absorbers, lay between the sacrum and ilium on either side of where the spine meets the sacrum.Â The hip joints are formed at the hip bone, supported by major ligaments and muscle structures. As far as articulating areas of the body, the pelvic region is somewhat complicated to describe but its function is plain to see and its strength should be obvious to anyone who has one.Â Pelvic functionality, for the sake of self-defense shooting is largely relegated to the hip bones as the center of the pelvic girdle contains organs and tissue not critical for life function.Â The sacrum, located to the rear of the pelvic girdle is a key part of pelvic function though its bone strength is like the other bones in the area. The spine must be mentioned because it connects directly to the region we are talking about.Â While the spine isnâ€™t generally mentioned when someone is talking about the superior target that is the pelvic girdle, it does come up.Â First, there is a difference between the spinal column and spinal cord.Â The Spinal Column (vertebral column) protects the cord; itâ€™s made up of 24 articulating vertebrae and nine fused (sacrum and coccyx).Â Vertebrae are bone, and are incredibly thick bones that protect the spinal cord.Â The segment of the spine in the pelvic region is made up of the lumbar section (L-1 through L-5), some of the thickest vertebrae in the spine1.Â This particular region of the spinal cord controls all of the nervous system relays to work the lower part of the body and as such, even upon severing of the spinal column and cord in this area, immobilization would be the most likely outcome.Â Aside from that, the spine is not a reasonable point of aim for practical accuracy. 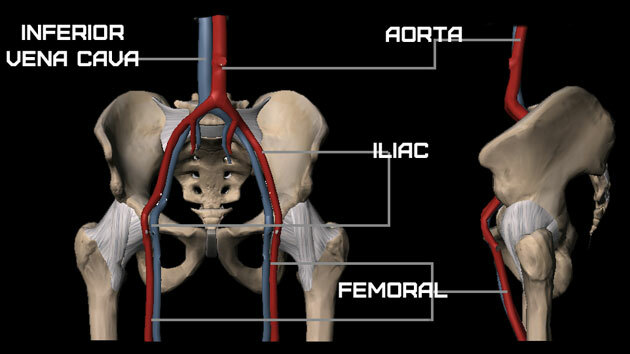 For vascular structures, the pelvic region is where the aorta feeds the common iliac arteries, which feed the femoral arteries in either leg.Â When it comes to causing massive trauma, a strike to an artery is one of the best ways to do it, though being small in nature with no visible outside markers to exact artery location, targeting any artery is not realistic. If this seems like a complicated explanation, if you intend to target it, you need to understand it.Â If we are talking about a use of force against bad guys, knowledge of human anatomy goes beyond pelvis, chest, head.Â If you want to destroy it, knowing how it works is important. Anatomy knowledge is integral to shooting. To medically stop a threat, we need to incapacitate them.Â Incapacitation of the human body occurs in one of two ways, destructive trauma to the central nervous system which results in life function/consciousness failure or significant blood loss that leads to life function/consciousness failure.Â Blood loss is the most common form of incapacitation and is determined by depth of the wound, location of the wound, internal organs/structures damaged and diameter of the wound.Â Because handguns and lower velocity/caliber rifles do not always totally destroy or sever the vessels and organs they hit (itâ€™s actually quite rare) and the body will act as a barrier to blood loss, it is virtually impossible for a round that does not destroy a central nervous system control structure to result in an instant incapacitation. This means that outside of a strike to the brain (with sufficient penetration, with the pons/mid-brain/medulla oblongata being the best case target), a person can and often will continue to fight until a sufficient amount of blood has been lost to cause CNS failure.Â Â Blood loss is not an exact science in regards to bleeding rates because as blood is lost, blood pressure drops which slows blood flow and obviously someone still conscious can administer pressure to a wound and continue to fight.Â How much blood does someone have to lose to become incapacitated? The average adult has between 5 and 6 liters of blood2, losing 30% to 40% of that results in lethargic motion, weakness, confusion and shock.Â After 40%, the body begins to shut down and unconsciousness is nearly guaranteed3.Â 40% or more blood loss is considered immediately life threatening4.Â There are unpredictable physiological factors as well as other possible variables that can see someone incapacitated before losing this much blood, or before.Â Since we cannot rely on a psychological incapacitation, our best hope for stopping a threat as quickly as possible is to target areas of the body that provide the best chance for blood loss and/or CNS destruction. Immobilization isnâ€™t much simpler.Â To immobilize a threat we have to sever or collapse a load bearing structure, shatter bone and injure supporting muscle groups to the point that the threat is unable to stand and/or move.Â Can a bullet shatter bone?Â Absolutely if bone is struck it can break and shatter bone, but this is far from guaranteed (it’s also likely the bullet will punch through the pelvic bone without shattering it).Â Can a bullet destroy a muscleâ€™s ability to operate?Â Absolutely, in fact this is more likely than bone destruction, though of the two, bone destruction is more likely to cause immobilization. 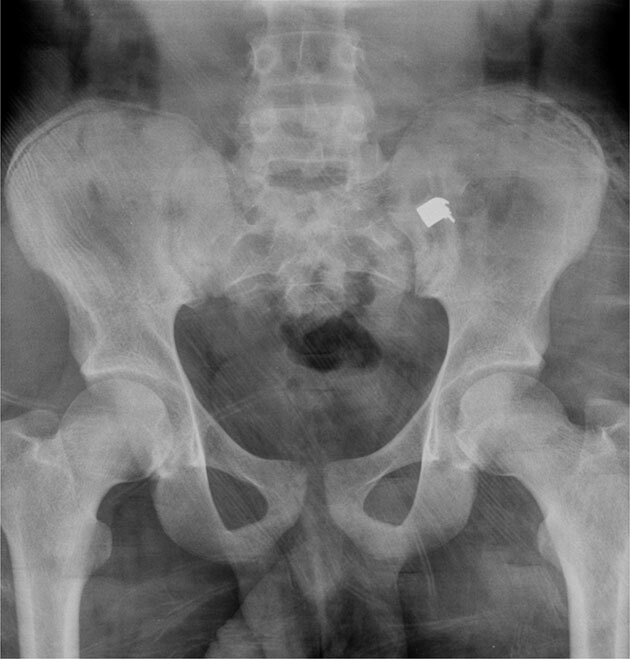 A 2010 study by the Detroit Receiving Hospital and University Health Center looked at 2,808 gunshot wound patients admitted between 1999 and 2008, of those 42 suffered gunshot wounds to the pelvic girdle.Â 18 of those resulted in fractures to the ilium, 10 of the hip5.Â Only 7 required orthopedic surgery.Â All patients healed with no signs of pelvic instability. Multiple trauma surgeons address the pelvic areas sensitivity in regards to complications from the bullets path through soft tissue such as the intestines, colon, and bladder with a focus on infection as opposed to overwhelming concerns regarding severe bone/muscle trauma or fatalities6.Â While trauma to the pelvic region can lead to death (the ultimate incapacitation) it is far less common than trauma to the thoracic cavity (chest) or head. So considering the limited destructive capabilities of a handgun when compared to a 5 ton truck or even an 800 pound motor cycle, which do you think is more likely to cause immobilization?Â And is immobilization incapacitation? Trauma to the pelvic region is undoubtedly painful, and if a round shatters bone and collapses a hip joint, your threat may go down, but down does not equal done7.Â With the nature of firearms training for the last hundred plus years, an overwhelming number of shooters have been (and continue to be) trained to shoot until the threat goes down.Â A bad guy is just as lethal on the deck even with a broken pelvis or exploded hip joint.Â He may not be able to move or pursue but he can still fight.Â Not being prepared for this is dangerous. To win the fight you remove their consciousness, not their mobility. So we have looked at how resilient the pelvic girdle is and how itâ€™s viewed from a medical stand point.Â This is all academic information, but it’s good academic information because it allows us make informed decisions about how we practice our shooting and how we prioritize vulnerable regions of the human body.Â Targeting the pelvic girdle makes sense in a number of situations; when itâ€™s the only part of the bad guy you can see (extreme angle shooting), the initial rounds in extreme close quarters such as a hip fire situation, or when fire to the chest is ineffective and a head shot is not possible. Itâ€™s also important to think of this area in regards to its size.Â Everyone has their very own pelvis so getting an actual hands-on look at the pelvic structure is easy.Â The margin of error is the abdomen or the legs; the pelvis itself is nearly shoulder width at its widest point but only 6â€-10â€ in height.Â Itâ€™s a reasonably sized target in comparison to the head however outside of close contact distances, it becomes relatively harder to hit. The pelvis is on the bottom of my list of priority targets unless the situation puts it at the top, which I think is how it should be looked at when we consider the facts. 4) Hypovolemic Shock Clinical Presentation, Paul Kolecki, MD, FACEP, Associate Professor, Department of Emergency Medicine, Director of Undergraduate Emergency Medicine Student Education, Thomas Jefferson University Hospital. The only time I’ve ever been trained that pelvic shots are accepted is during index firing or as an alternative to head shots during body armor engagements. We have always accepted a pelvic girdle shot as a good shot to take. Bust that mobility engine! Congratulations on the arguments! We are spreading their ideas here in Brazil. 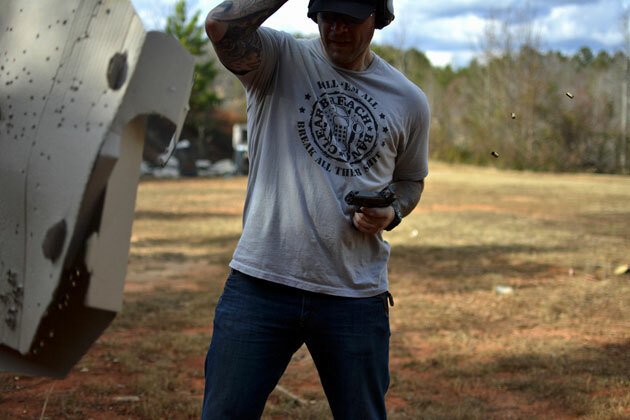 The pelvic as shot placement is a fast way to get the threat down fast not to end the threat but a way to get he or she down fast to then follow through with a head or chest cavity placement of rounds. Don’t rule out pelvic hits as a fast way to put the threat at a better advantage for better placing crucial hits. Well written, good factual information. While there is much wisdom in this article, I am still convinced that the pelvic girdle is a primary aiming point in a gunfight, for the following reasons: 1. It is a natural hinge point for the body, and a blow in this area is much more disruptive than a blow to the chest. Punch someone in the center mass, then punch them in the groin and see the difference. 2. It is a much larger target than the head, and moves around a lot less. I learned this when programming a firearms simulator to differentiate between head shots and pelvic girdle shots. 3. In combat, you tend to shoot high. Sights are seldom used (can we say, “point-shooting”?) and even if used the tendency is to look at the front sight OVER the rear sight, instead of getting the top of the sights aligned. If you aim for the pelvic girdle and shoot high, you hit the opponent in the center of the chest. If you aim for the center of the chest and shoot high, you risk missing your opponent altogether. Agreed that a pelvic girdle hit will not incapacitate an opponent as reliably as a head or CNS shot, but it will limit their ability to return accurate fire and make them more vulnerable to follow-up shots if they do not cease hostilities. I am a proud owner of your Tactical Anatomy Manual (2006) and have learned much from it. My article is of course focused primarily on the handgun as a defensive tool, whereas a rifle would obviously be better for a number of reasons. My personal experience, weighed with and against the experiences of others as well as my own research drove the writing of this piece because I see the pelvic girdle becoming the new “end all” point of aim in the training community from instructors who dont bother to understand even the basics of anatomy. Pelvis shots have indeed been successful. They have failed as well and of course we have to ask if, in both cases, the pelvic shot was intentional or incidental to the shooting. My focus is always incapacitation as quickly as possible and the pelvis will remain a tertiary point of aim (given other realistic options) to that end. Undoubtedly Aaoron explains very well the fact of effectiveness and its priority as a point of impact. A Pelvis can not be considered the first option, it no makes sense only bring down my threat. 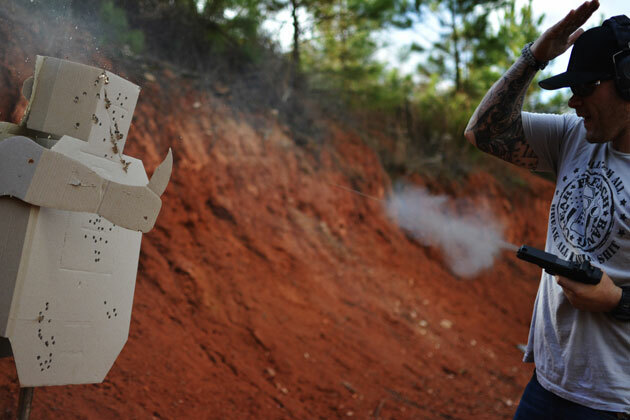 Shoot the center of mass or head until the threat falls and really make sure that he is not a threat(NSR). Sorry the other readers of the forum, but I have had experiences of armed threats continue to be lethal after fallen and targeted with multiple shots. I don’t dissagree. But I am an senior physiology major (med school next) and an authority in combat medicine from my tenure as a grunt corpsman. The A&P here is very accurate and the logic is good. I DO train to hit the joints and articulations. First, the genoild humoral joint(shoulder) is densely packed with arteries, veins, nerves and connective tissue. Because I have done cadaver dissections, I know how closely packed and literally on top of each other they are. Destruction of these will result in loss of mobilization, function a blood. This logic can be applied to any joint, like the knee. This is all predicated on not wanting to nessisarilly kill the target though – it’s just food for thought. I always train for center mass, pelvis and head to kill. But I train to disable too in the event it’s required, albeit death is till very likely still from destruction of the structures of the joints. Great food for thought. Two thumbs up on this article.